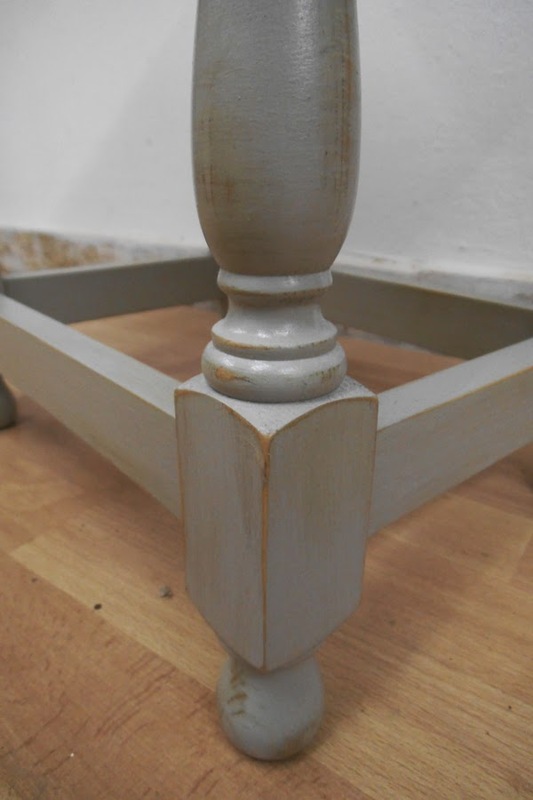 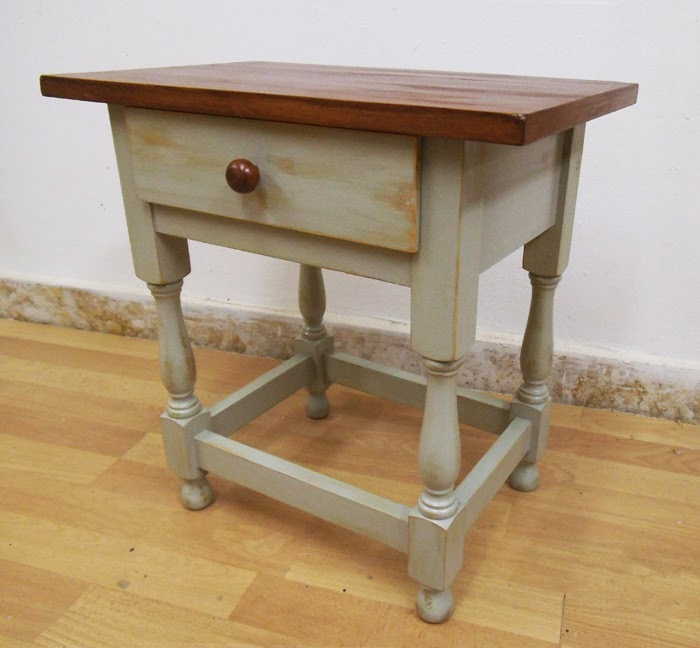 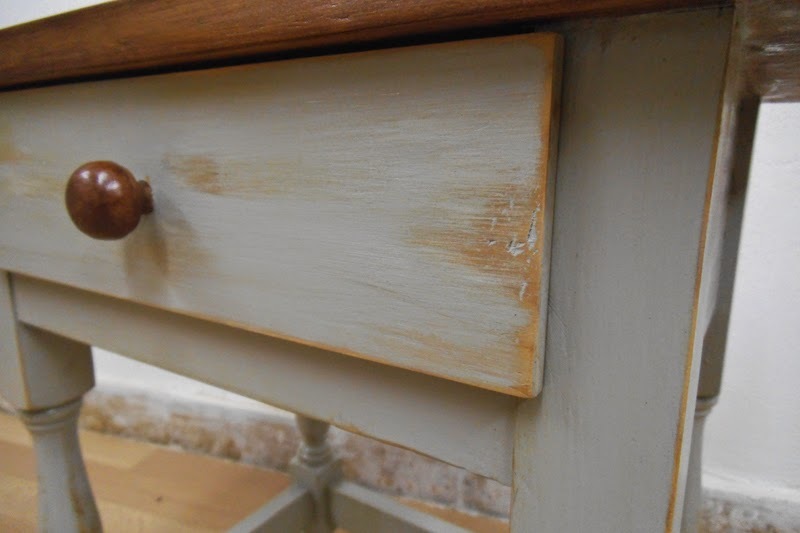 A solid pinewood bedside table gets a shabby-chic look, with distressed French gray body and stained surface. 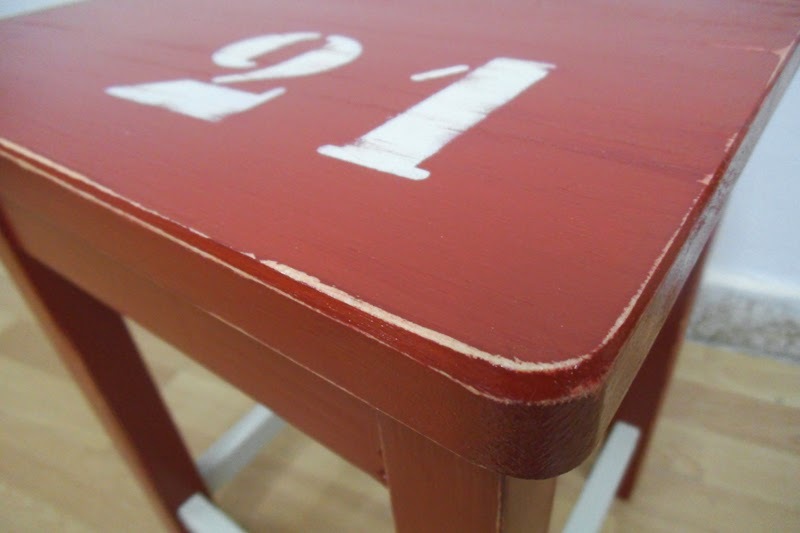 Varnished and polished for a durable, smooth satin touch. 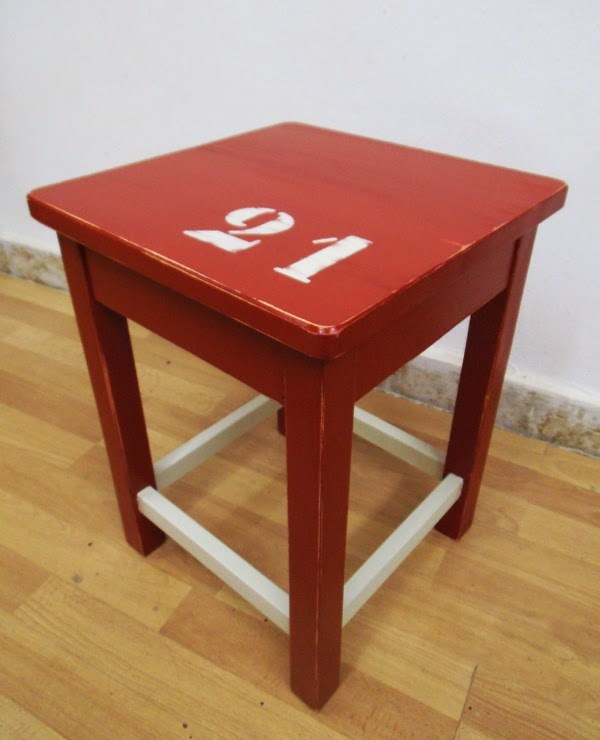 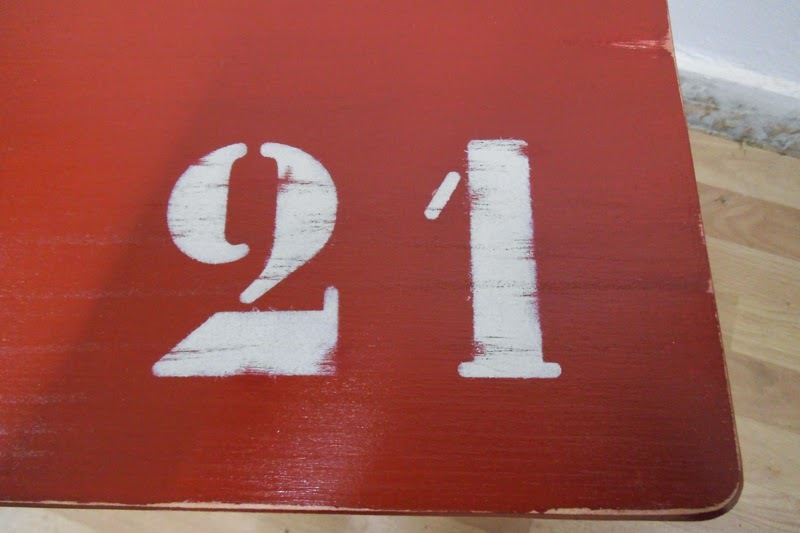 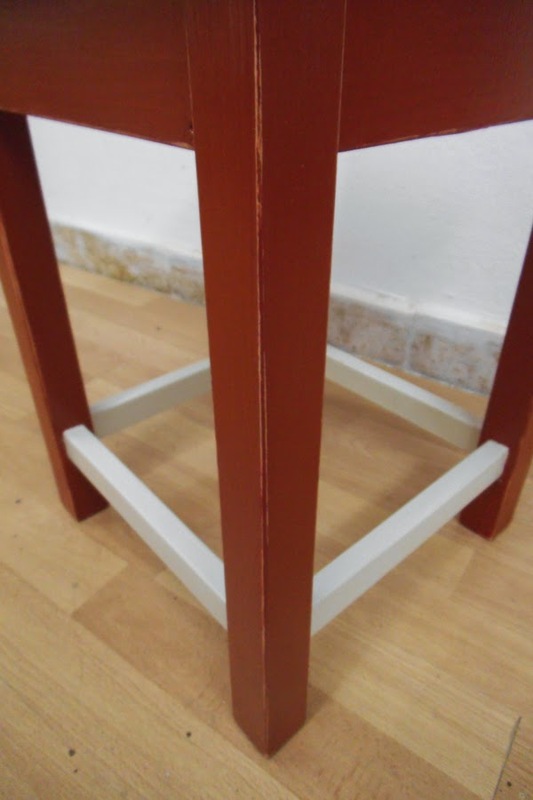 A solid pinewood stool with a fresh look: distressed deep red paint with off white accents and the number 21 (significant for the commisioners) stencilled on the seat. 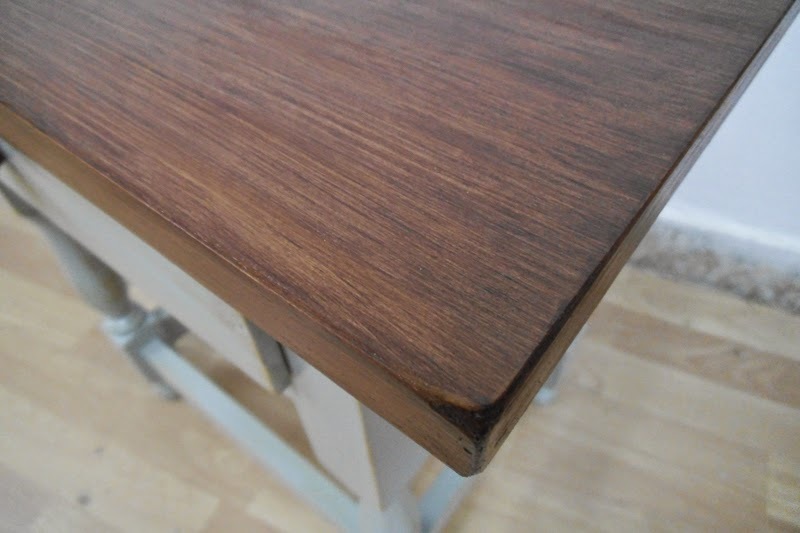 Varnished and polished for a durable, smooth and satin touch.